Farmers looking for disease-resistant cucurbits now have more choices thanks to the release of new cucumber and melon varieties by Cornell University—the result of years of research by public plant breeders and organic farmers. These varieties are a result of participatory breeding efforts focused on cucurbits most in need of improvement and exhibit exceptional resistance to evolving diseases as well as production and culinary characteristics important to organic farmers. Pathogens emerge and evolve quickly, and breeders struggle to stay ahead with new resistant varieties. 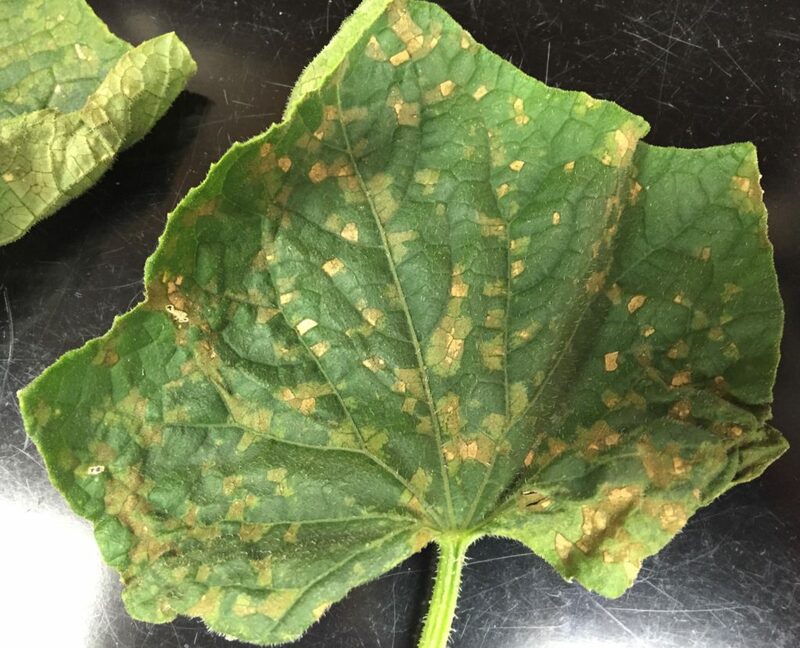 Downy mildew and bacterial wilt are two devastating diseases that too often wipe out entire cucurbit crops. While conventional cucumber growers rely on synthetic chemical inputs—such as neonicotinoid seed treatments and sprays—organic growers don’t have (or want) that option and instead rely even more on protecting crops from the inside out: through plant genetics resistant to diseases. “The beauty of our success is that these high-yielding, disease-resistant varieties are as beneficial to conventional growers as they are to organic,” Mazourek adds. The varieties now available were developed with support from the National Institute of Food and Agriculture’s Organic Research and Extension Initiative (OREI), housed within the US Department of Agriculture (USDA). Partnering with Cornell University on the Eastern Sustainable Organic Cucurbit Research Project (ESOcuc) were Auburn University, North Carolina State University, and Organic Seed Alliance. Farmers, extension agents, and seed companies along the East Coast also played an important role. Evaluate the most popular cucurbit varieties for yield and pest and disease resistance. Examine on-farm management strategies to overcome environmental and economic challenges. Make data available to farmers through field days, webinars, and other resources.